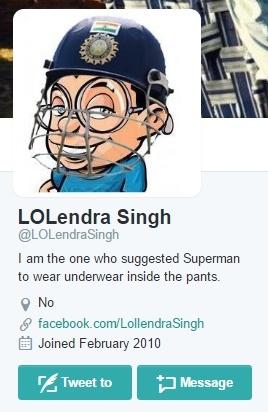 14 Best Indian Parody Twitter Accounts You Need To Follow Right Away. 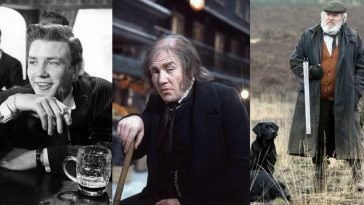 . .
Presenting the best of Twitter! If you are an active user on Twitter, you can never really run out of gossip and some freshly made memes. 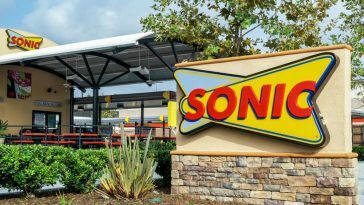 It is one of the fastest social media platforms out there and gives every user a convenience to reach out to the world in no time. If you are getting tired of reading the same run of the mill tweets, then we have something in stores for you. Here are some of the most hilarious Indian parody accounts on Twitter that are sure to give you a dose of laughter. The guy keeps trending on Twitter every now and then. He has an “official” handle on Twitter (as if the name wasn’t enough). Not just sports, he will keep you updated with almost everything! Haven't seen money for so long now, feeling like Pakistan Cricket Board. 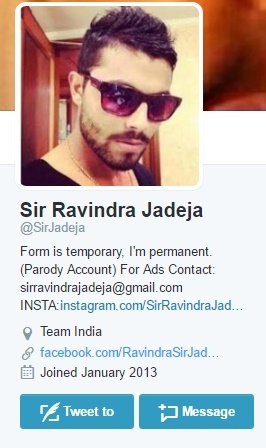 Even though the admin has clearly mentioned “Parody” in his bio, he keeps getting tagged by MBA graduates and Tara Sharma. 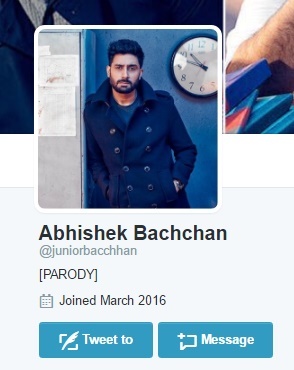 He tweets about his favorite subject – Abhishek Bachchan (in all his glory). I must change my password too. I have a feeling that Vivek Oberoi, Salman Khan and I may have the same password. Babu_Bhaiyaa’s account is one of my favorite parody accounts for sure! 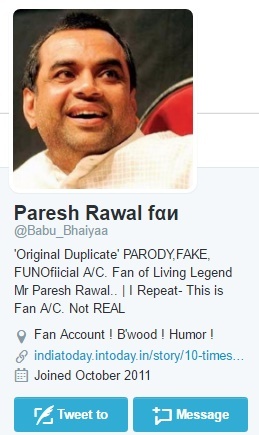 He is a Paresh Rawal fan and is followed by the man himself! Rahul Shivshankar ji likely to replace Arnab Goswami ? Is it like taking Harman Baweja in a lead role bcz Hrithik Roshan was not available ? Try not to laugh after looking at that picture! 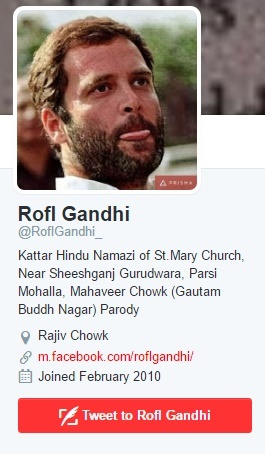 The parody account has more than 100K followers and is known for its take on Indian politics. Congress is accusing BJP for their account hacking. That's so childish, hacking requires a technical and qualified brain. I don't think breathing is natural, it's just a conspiracy to get aged and die to defame Modi regime. 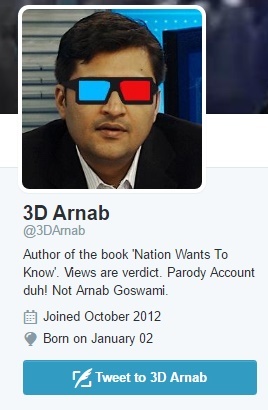 As if Arnab Goswami wasn’t enough, someone decided to make his parody account as well. Wait for it! 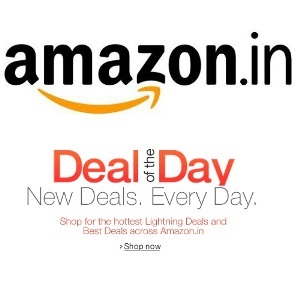 The handle is managed by a witty admin and will certainly get you hooked. Is this is 'Frankly Speaking with Arnab Goswami' or 'Mann ki baat with PM Modi"? 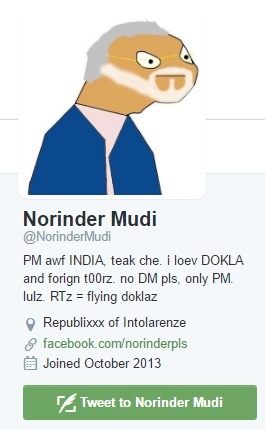 A parody account of our beloved Prime Minister, it has plenty of tweets as funny as its bio. Don’t believe me? Go ahead and have a look at some of its witty illustrations yourself. 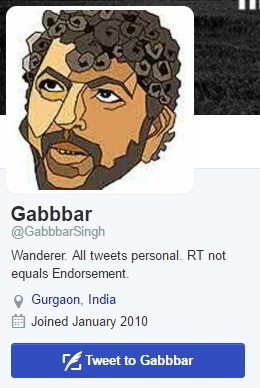 Probably the king of sarcasm, the account has around 500K followers for a reason! National Anthem to be played before every Youtube video, if you Skip Ad, police arrives and confiscates your laptop. The fact that nobody noticed that Kejriwal's account was hacked 2 months ago & hasn't been restored yet, speaks a lot abt the man. 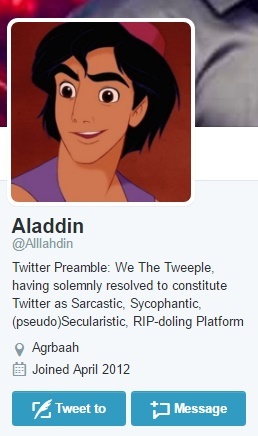 If you think a Twitter parody account of Aladdin is only a thing of fairytales, then you need to follow this handle right away. The account has put a classic Arabian Night twist on Indian satire. 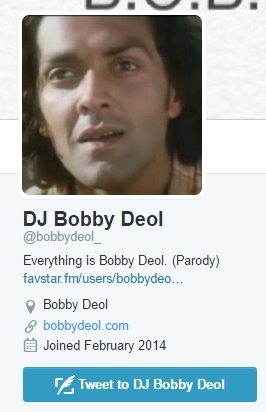 Bobby Deol might not be active on Twitter, but his parody account is certainly having a great time! iPhone 7 mein phone call aane ka feature hai? This one is for all the cricket fans out there! His live commentary steals the show for sure. Though, he never misses an opportunity to express his opinion regarding almost everything! Baba Ramdev to launch Patanjali ₹500 and ₹1000 ayurvedic notes until RBI releases new 500 and 2000 rupees notes. The way Virat starts his innings slowly, paces in the middle and finishes off with such tempo, Anushka Sharma must be the happiest woman. 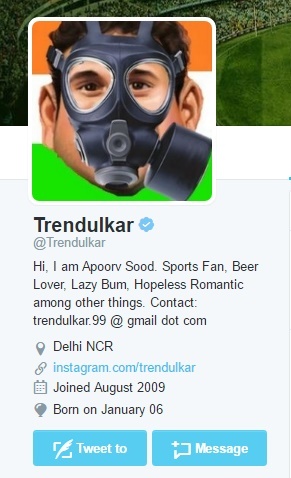 The parody account is probably more famous than the cricketer himself and never ceases to disappoint its followers. The best of Desi humor! 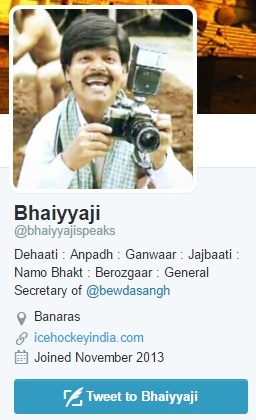 Bhaiyya ji speaks for every common man out there in his own peculiar way, which is too good to be ignored. 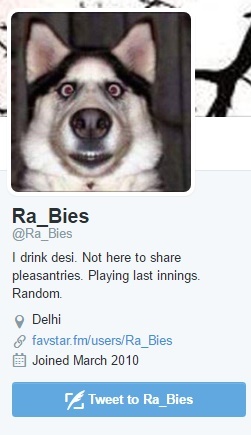 Also, he has a thing for Raveena Tandon. Yes! I saved the best one for the last. 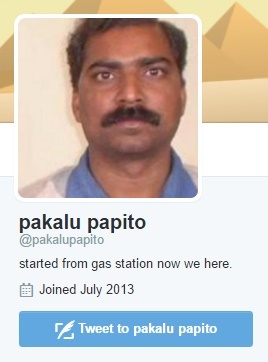 With over 2.6 million followers, Pakalu Papito is on a roll. He tweets about his everyday struggles (and disappointments) with which we all can relate to. Follow them right away and give your Twitter home a new life. Go ahead. You can thank me later!